The Nigerian Army is at it again. Yesterday they shot dead two young men in Owerri. Last night and this morning they have commenced their abduction of Biafrans in Aba. Biafrans are now the longest suffering race in human history. One day the anger will no longer be controllable and the world will wake up then to start pontificating. Nigerian Army is conducting a stealth genocidal war against Biafrans and it is the responsibility of the world to take note. Our decision to boycott elections is an act of civil disobedience which any reasonable person ought to understand. 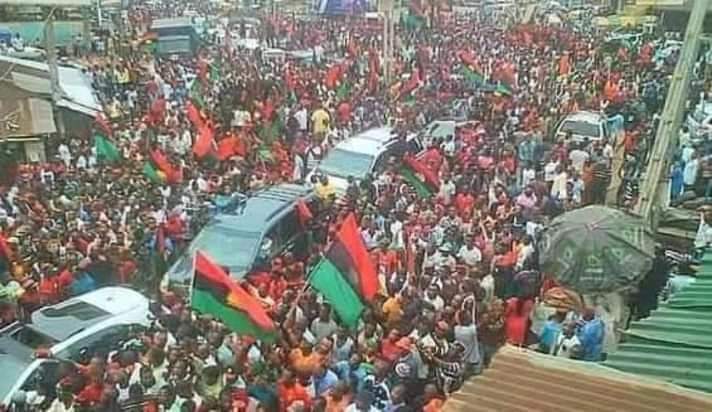 That Nigeria is an uncivilised backward society is not the fault of IPOB. We have chosen a civilised non violent approach but it appears Fulani Caliphate, and their Jihadist Nigerian Army and Igbo Efulefus are hell bent on provoking us to pick up arms. When that eventually happens, the world should know those to hold responsible.